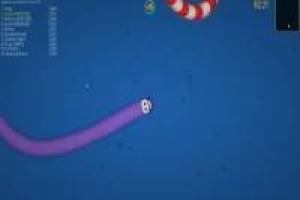 Worms Zone is a new version of Slitherio or Worm. Io in which you will have to manage this worm all over the territory eating monsters to be even bigger. You will have to grow little by little and killing your rivals will help you. Pass in front of them so they hit your body, they lose all their food and you can collect everything for you. You can log in or play as a guest, the advantages are that you can save your progress and buy new skins. Also if you are among the first positions you will win chests with prizes so you can continue improving your character. Do not wait any longer to enter the war of Worms Zone with these horny worms. 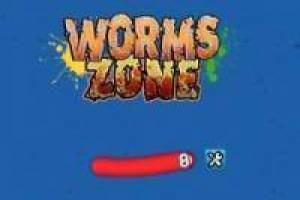 Enjoy the game Worms Zone, it's free, it's one of our .io games we've selected.